Picking the correct travel shoes is one of the most important — and most difficult — parts of preparing for your travels to Europe. This guide will help you choose the perfect shoes for traveling. We’ll recommend some of our favorite men’s and women’s travel shoes. European cities are designed to be navigated by foot and public transportation — it is guaranteed that you’ll walk a ton each day. You can easily walk 7-10 miles a day, so you gotta treat your feet well. Even standing for long periods of time in museums can be killer on your feet. Those fashionable, yet uncomfortable, shoes will make your entire trip terrible — I can’t stress this enough. But that doesn’t mean you have to wear ugly shoes. It takes a little searching, but it is possible to find comfortable shoes that also look fairly fashionable. If you must bring a pair of “impractical” shoes, I highly recommend that you wear them only on special occasions. Quality Socks – A lot of people spend a lot of money on shoes then throw on a pair of cheap socks, but quality socks are just as important as the shoes. A good pair of socks will help prevent blisters, stop odor, and keep your feet comfortable. For more information about socks, be sure to read about our favorite socks for travel. Support & Insoles – Make sure your shoes have the proper support for your feet. 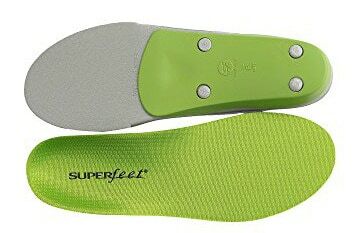 A quality pair of insoles can make shoes and boots much more comfortable, and they add extra support to flats. Match Shoes To Destination – This seems like a no-brainer, but you need to match your shoes to when and where you’ll be traveling. A pair of flats isn’t appropriate for trekking through Iceland, and a pair of heavy-duty mountaineering boots probably is overkill for walking the streets of Paris. Break In Your Shoes – BREAK IN YOUR SHOES! Purchase your shoes a month or two before your trip and make sure you wear them a lot before you leave. Buying shoes online can be a bit tricky since all brands seem to fit a little differently. That is why I order my shoes from Zappos. They give you get free delivery and free returns. If you’re not sure which size to buy, I suggest buying two sizes and then returning the pair that doesn’t fit. Zappos gives you a pre-paid return label and will refund your money within about 7 days — they make the process super easy. Below you’ll find some great travel shoe options for women and men. We’ve tried to assemble a list of shoes, boots, and sandals that are both comfortable and fashionable. All the recommended shoes are available via Zappos.com. Trekking/hiking shoes look a bit like beefed-up athletic running shoes, and they’re designed for long hikes. This style of hiking shoe is a popular choice for many travelers because they offer a lot of support, they are generally lightweight, and most are waterproof — which is a huge plus. Unfortunately, it is pretty tough to find a “fashionable” pair, but these are probably your best all-around option if you travel during the snowy/rainy months or if you plan on spending a lot of time in the countryside. Ok, these Fresh Foam Gobi V2 – Protect Pack from New Balance are technically “trail runners” and not hiking shoes but they’re highly water-resistant and nice looking. We could totally rock these in Europe. Keen is another brand known for being comfortable. These Keen Presidio shoes get rave reviews for their mix of hiking shoe durability and sneaker looks. Plus, they are waterproof, so this is a good option if you want a rugged shoe that is suitable for city travel. I also like the Keen Utility Detroit and Keen Arroyo II because they get excellent reviews for comfort, but they do have a more utilitarian look. Merrell is a great brand and well. Their Moab line of shoes and boots come in multiple styles — including many waterproof options. We also like the Merrell Siren Hex Q2 Waterproof, and the Merrell All Out Blaze 2 Waterproof. Merrell makes a ton of shoes so check out their page on Zappos to see them all. We’ve always been big fans of New Balance. We think they make some of the most fashionable rugged and waterproof hiking shoes — so you won’t look out of place while exploring the city. The 910v3 GORE-TEX is a waterproof athletic trail running shoe that we are digging. We also like the Fresh Foam Gobi V2 – Protect Pack (which is technically only “water resistant” but it should handle rainy days without much issue). Merrell makes a wide range of comfortable hiking shoes, and many of them are waterproof — which is nice if you travel to rainy climates. The Merrell Moab Waterproof and the Moab Vent (a great summer option) get top marks for comfort and support. The Merrell Chameleon 4 is a low-profile option that is comfortable and sturdy but still looks decent in an urban environment. Keen makes some of the most comfortable and durable hiking shoes. The Keen Austin is waterproof, supportive and it has good looks. The Keen Arroyo II, Targhee II, and the Keen Voyageur are three other comfortable options that are a bit more utilitarian. Hiking boots will offer good support and will keep your feet comfortable on long walks, but they might be overkill for most city travel since they are heavy and bulky. Most travelers would be better off using lightweight hiking shoes but they might be a good idea if you’re traveling in the winter. The Vasque Sundowner GTX and the Danner Jag both combine old-school style and comfort. Timberland White Ledge Mid Waterproof is a nice looking boot that will serve you well in the winter. The Merrell Moab Mid GORE-TEX® XCR is a little more “outdoorsy” but it gets good reviews for comfort. The Danner Jags and the Danner Mountain 600 are two classic hiking boots with old-school style. Casual boots are nice because they are more fashionable than sneakers/athletic shoes, but they are often still comfortable. I prefer a dark leather (since it will hide dirt stains well — especially in the winter), but suede can be perfectly fine in the summer. Do make sure you break in boots for 2-3 weeks before your trip. The Clarks Desert Boot are a nice lightweight and fashionable option that work well for the summer and look great with skinny jeans. These are best suited for the summer since they’re not waterproof. I’d also recommend using an insole. Chelsea boots are another great style of boot for travel because they are super easy to take off — which is great at airports. And they look cool, too. We think these Blunderstone BL585 and Frye Chelsea boots look great and they get good reviews, but there are plenty of other styles/brands available. Clarks Desert Boots have been a classic boot for over 40 years and they’re still just as cool as ever — plus they come in multiple colors. We like these Cole Haan Chukka boots and Timberland Davis Square Plain Toe Chukka because they’re both fashionable and comfortable. Borne also makes these slightly “dressy” Nigel Boots which are super comfortable. Another nice travel boot is the Blundstone BL550. These leather boots are comfortable, stylish, and rugged. The BL550 doesn’t have laces, so they are super easy to put on/remove, which is incredibly nice if you’re going to be flying a lot. Blundstone makes a lot of different models, so I suggest searching for other styles. Casual sneakers are a great choice because they offer great support and comfort, but they are more fashionable than running shoes. These will also benefit greatly from insoles. There are plenty of fashionable options available but here are a few of our favorites. BENSIMON sneakers are some of the most popular and fashionable casual sneakers in Europe. You’ll see tons of trendy Parisians wearing them during the summer. They are available in dozens of colors and styles, but it can be a little difficult finding the full range of styles and colors in the US. I don’t think you can have them shipped outside France from their website, but there are a few retailers who carry them in the US. However, Superga and Keds makes both make shoes in a very similar style —so they’re a great alternative that’s also easy to find. Sperry Top-Siders look great with shorts, capris, skirts, and jeans, making them super versatile. They are a good option for the spring or summer. Nike and New Balance are popular all over the world, and both companies make a wide range of casual sneakers that are great for travel. Their styles change often so take a browse. Ecco also makes cute and super comfortable sneakers. We’re especially loving their Soft VII shoes. Puma produces a number of sporty, yet fashionable, sneakers that are great for travel. Their styles are always changing, so you’ll want to check out all the different styles they have. Converse Chuck Taylor’s are trendy in Europe and they make a cheap and shabby chic option. The Chucks 2 have good arch support but the normal Chucks are known for being pretty flat. If you don’t like Chuck Taylor’s, there are many other similar style shoes available — for example, Onitsuka Tiger by Asics and Vans. Everyone knows about TOMS shoes, and they are a great shoe for travel because they are comfortable, lightweight, and cute. These are a great option for urban travel during the spring and summer. They’re not the most rugged shoes so they’re better suited for shorter periods of wear. Athletic shoes will likely be the most comfortable option for exploring the streets of Europe. Luckily (fashionable) sneakers are in-style in Europe so you can still look good while also being comfortable. That said, the most comfortable sneakers probably aren’t the most stylish… but sometimes comfort comes first. Just be sure to pick a color other than white if you don’t want to be pegged as an American tourist. One of the best-rated running shoes are the Brooks Ghost. These will not win any points for fashion, but they will keep your feet happy. In fact, all Brooks shoes get excellent comfort ratings. If you’re looking for a comfortable athletic shoe that has a bit of a lower profile, check out the Nike Flex, Nike Free, New Balance Arishi and the Adidas Running and Adidas Originals series. All of these are sporty and fashionable. When it comes to nice-looking athletic shoes, Nike is hard to beat. We recommend the Nike Air Pegasus, Nike Flex, Nike Air Max, and the Nike Free. These New Balance Classics have great retro style, but still offer the comfort of a running shoe. I’ve seen similar shoes in many stores and boutiques in Paris and Barcelona so you’ll see plenty Europeans wearing these. Adidas has really stepped up their game over the past year or two so you can find some stylish and comfortable shoes. We’re loving Adidas’s Boost line of shoes but their classic Adidas Originals shoes never go out of style. Flats are a great option for city travel because they are lightweight, comfortable, and can be casual or dressy. Black or brown is the most practical color choice. Many flats don’t provide a lot of support, so it is advisable to add an insole to help improve comfort. Born makes a lot of cute and conformable flats. The Born Julianne is one of their most popular models because they look great, provide decent arch support, and come in multiple colors. Born also has many other styles of flats that come in cool metallic or snakeskin finishes. If fashion is a top priority, these Cole Haan flats might be the perfect flat since they’re known for providing a lot of extra cushion. They have multiple colors available, but we would stick with the patent leather options. Merrell is known for making great hiking shoes, but they do make a few more stylish flats. Sandals are great in warm weather and there are multiple styles available — from dressy to sporty. Unsurprisingly, the “fancier” sandals tend to have less support than the sporty versions — so keep that in mind. Chaco is known for making some of the best hiking sandals. You won’t find these on the runway, but if you want excellent support these might be your best bet — whether you’re doing off-road hiking or exploring Europe’s cobblestone streets. It might sound strange, but Crocs actually makes a few pairs of nice looking sandals. The Crocs Sexi Flip is chic, minimalist, and comfortable and the Isabella T-Strap also gets a lot of love. Plus, they weigh just a few ounces so they will hardly add any weight to your bag. Birkenstocks are the quintessential “comfortable” sandal. They make multiple models so look around to see if any look good to you. Naot is another brand that’s famous for making super comfortable sandals. Insoles are a great way to make your shoes much more comfortable. Some of the best are from Superfeet, Sorbothane, Spenco, and Sole, but there are plenty of other brands.